Toothache is a much less common occurrence than it used to be but there is still more we can do to prevent problems and your oral hygiene routine at home is vital. Stock up on everything needed to keep your teeth clean and healthy, this includes a good quality toothbrush, toothpaste, mouthwash and dental floss. 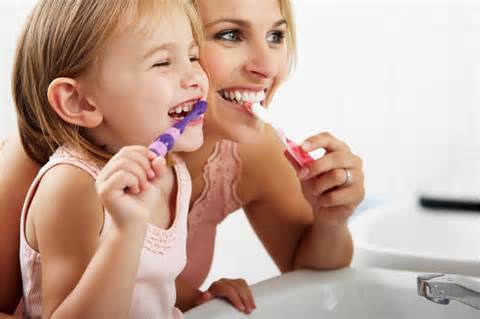 Teach your children how to brush properly. A survey recently conducted by us at ProFresh found that 90% of people questioned have held back from kissing a partner because they were worried about their own bad breath. This backs up a survey conducted a few years ago by Philips Sonicare that bad breath is the biggest turn-off on a first date. This explains why so many people are conscious of bad breath. Kissing comes naturally to human beings. It is a demonstrations of affection and helps bonding with another person. 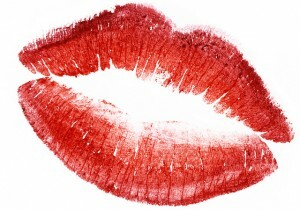 Another survey conducted by mysinglefriend.com, dating website launched by Sarah Beeny found that 88% of people think it’s fine to kiss on the first date hence why oral hygiene is a must when love is in the air! Halitosis or bad breath makes a sufferer afraid to kiss as this may lead to rejection. For those who are single, it can make dating very difficult. Those who are married may have relationship issues because of bad breath. This may be the sufferer rejecting intimacy or refraining from showing affection and therefore rejecting the other partner. In some religions, bad breath can be cited as grounds for divorce! Dr. Crossetti, a Dental Expert and Spokesperson for ProFresh says offensive breath (halitosis) is caused by a bacteria build up in the mouth and often occurs in spite of good oral hygiene. Products sold over the counter are temporary cover ups and have no effect on the bacteria that cause bad breath. 20 years of patient use have demonstrated through professional testing that ProFresh eliminates bad breath odour for 6-8 hours after rinsing. One cannot assess their own breath odour, it can only be evaluated by others which is very embarrassing for the sufferer. Using ProFresh daily will eliminate any anxiety over personal breath odour. What can help get rid of bad breath? Firstly, visit your dentist to see if there are any underlying issues. Ensure your oral hygiene is thorough, this includes brushing, flossing, tongue scraping and using a non-alcoholic mouth wash. Activated chlorine dioxide (ProFresh) attacks the volatile sulphur gases in the mouth, neutralising them and the smell they produce. Amazing Results. Studies found that using a tongue scraper in conjunction with ProFresh® Mouth Wash, could effectively eliminate 99.9% of biofilm and bacteria. These findings continue to be reported at professional dental conferences around the world. ProFresh® is the original, and patented, Activated ClO2 Mouth Wash and the most effective bad breath product in the world. So use ProFresh and get kissing!